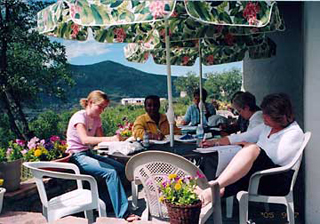 The Steamboat area provides the perfect locale for the plein air art experience. 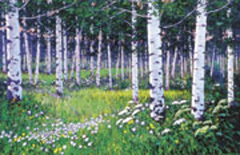 Richard Galusha, whose "Aspen Grove" painting is shown here, is one of the gifted instructors. The seminar offers eight different workshops from which you may choose one, with the chance to “stir the pot” of your creativity by indicating, if you so desire, two other sub-areas of interest in which you'd like to participate. Color, light, line, texture, volume, shape, movement, emotion, intellect…all of this, and only two dimensions. 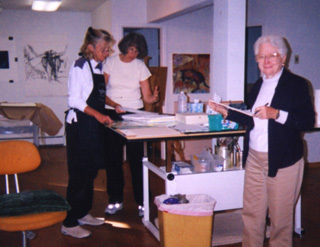 Our artist/instructors will help you explore your creativity with options in oil painting, drawing, and watercolor in the studio or out in nature. 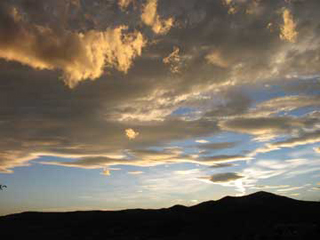 Classes in film and digital photography are held in some of the most spectacular and beautiful areas in Colorado. Our creative writing instructors are professional artists and facilitators who allow you to write and review your own writings in a supportive, constructive and collaborative process. 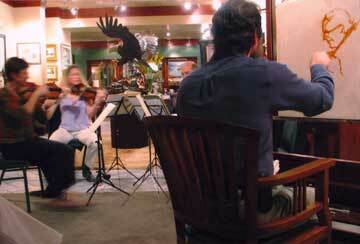 Chamber Music and private lessons for violin, viola, cello, piano and woodwinds, including recorder. Our professional musicians will help you make that breakthrough you've long been seeking. They will often coach your ensembles from within. In the end it's about enjoying the genius of Mozart, Schubert and friends as you work your way through their magnificent quartets. In your ensembles, you will be matched with players of similar experience. This is an opportunity for participants to receive outstanding instruction in voice, at whatever level of experience, and be a part of a fun vocal ensemble directed by our enthusiastic staff. Page delivered in 0.00053 seconds.